Red Sox earn 10th straight win; Pujols matches Ken Griffey Jr.
Mookie Betts hit a grand slam in the fourth inning on Thursday to lead Boston Red Sox to a 6-4 win over the Toronto Blue Jays. The Red Sox (66-29) have now won 10 straight games to maintain MLB's best overall record, while also climbing three-and-a-half games ahead of the New York Yankees in the American League East. 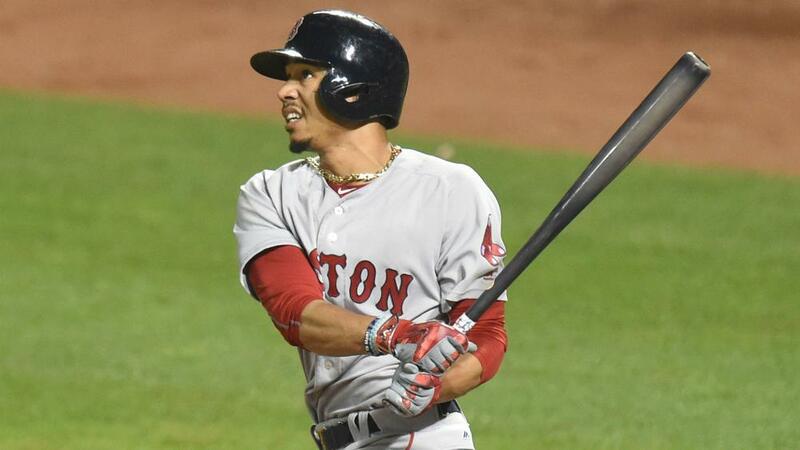 Betts, who had two hits on the night, is now batting .352 with 23 home runs this season. David Price started for the Red Sox and allowed three runs off six hits and eight strikeouts in 6 2/3 innings. He improved to 10-6 with a 4.42 ERA. J.A. Happ started for the Blue Jays amid a swirl of trade rumours linking him to the Yankees. He likely wishes he was already out of town after allowing five unearned runs Thursday to fall to 10-6 with a 4.29 ERA. Albert Pujols tied Ken Griffey Jr. for sixth place on the career home run list with two home runs against the Seattle Mariners to take his career tally to 630. Philadelphia Phillies catcher Jorge Alfaro went three for four with two runs scored, a home run and three RBIs in a 5-4 win over the Baltimore Orioles. Alfaro helped the Phillies (52-40) jump a half-game ahead of the Atlanta Braves in the NL East. Pittsburgh Pirates starting pitcher Jameson Taillon allowed just one run with 10 strikeouts in six innings to help beat the Milwaukee Brewers 6-3 at home. He improved to 6-7 with a 3.91 ERA with the win. After getting destroyed 19-2 on Wednesday, Arizona again looked listless as they lost 5-1 to the Colorado Rockies. All-Star Paul Goldschmidt collected two hits, but the rest of the team continues their form slump. Blake Snell, one of the hottest pitchers during the first half of the season, was controversially left off the AL All-Star roster. But he looked pedestrian on Thursday, lasting just three innings against the Minnesota Twins while allowing three earned runs on five hits and three walks. Harper is only batting at .213 this season, but he has 23 home runs and led the Washington Nationals to a 5-4 win over the New York Mets. The Seattle Mariners head to Denver to take on the Rockies without star designated hitter Nelson Cruz, who will not be used as an outfielder in this inter-league matchup. Both teams are in postseason position, but the Rockies need to make up ground after the All-Star break.